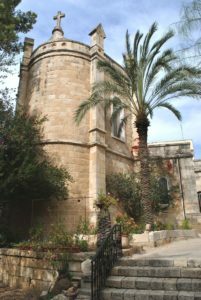 The convent Notre Dame de Sion is at the heart of the Judean Hills, in the village of Ein Karem, the traditional place of Mary’s visit to Elizabeth and of the birth of John the Baptist. 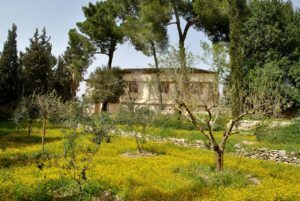 Ein Karem, while being very much sought after both by the local population and by pilgrims, has kept its village character and draws many artists by its beauty. 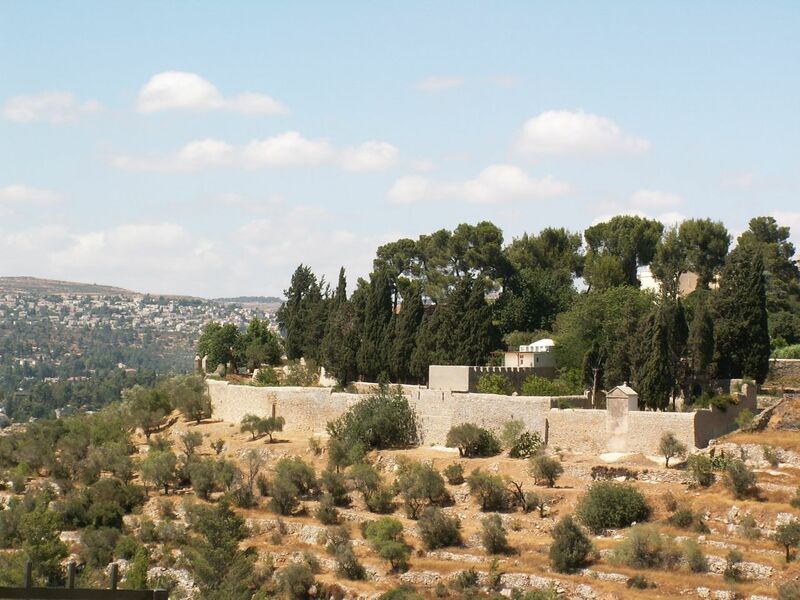 Above the village to the west is the Hadassah Hospital and to the east Mount Herzl and the Yad Vashem Memorial. Its geographical location, its pleasant and silent surroundings offer a different and varied kind of hospitality. A great variety of people come: individuals who come for a rest, a retreat, who need silence for writing or to gather their thoughts; families to celebrate a birthday, an important event, or for a family vacation; meetings with friends; israeli tourists; foreign pilgrims visiting Jerusalem, its surroundings, and the Ein Karem holy place. 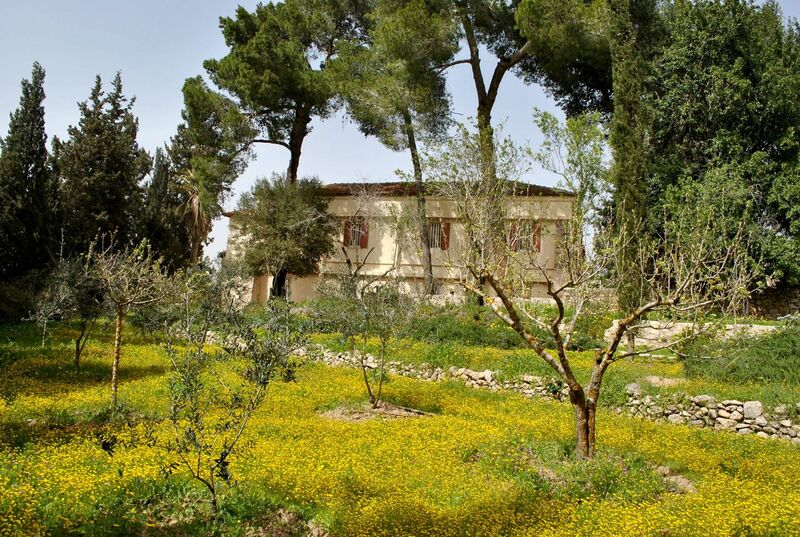 The guest house rooms are simple and comfortable, single rooms, or rooms for couples or families; they can be rented for one or several days. The meals: lunches and dinners can be ordered in advance; groups can also request a meal. The cooking is family-style, healthy and nicely served. Depending on the season, it is possible to have one’s meal ouside in the gallery. Working groups (teachers, psychologists), Interfaith group meetings, various workshops (meditation, art, music). Groups can come for the day or for several days. 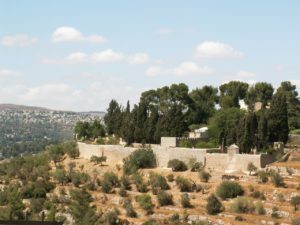 The visit of the garden includes a small cemetery, where Father Marie-Alphonse Ratisbonne is buried, as well as sisters who died in Ein Karem and a few Christian friends. The garden is open to visitors from Monday through Friday, from 9 a.m. to 12 noon and from 2 p.m. to 5 p.m., on Saturdays from 9 a.m. to 5 p.m. It is closed on Sundays. The chapel is a place of silence and prayer, where the welcoming community meets in the evening for prayer in common. The chapel is striking because of its simplicity and beauty, which help one to gather one’s thoughts. The Way of the Cross, which is the work of a Jewish artist, and the stained glass windows showing Moses and Elijah speak of the vocation of Our Lady of Sion, a congregation that is especially attentive to the biblical and Jewish roots of Christian faith. It is possible to reserve the chapel for concerts of religious music. The quality of its acoustics is such that it is good for every kind of music.